If your cat has been scanning real estate postings on Craigslist, tell them that the search is over. 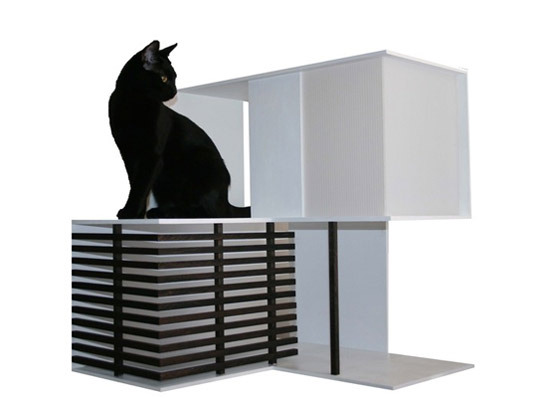 Even the most finicky of felines will be enamored with one of these wooden “condos” that are custom built to their specifications (and when we say “their” we mean “your” since cats can’t talk). What’s even cooler is that the builder of these bespoke homes is currently completing a Master of Architecture degree, so you’ll be happy to know that the money you pay for your new cat abode will be going towards funding a fellow designer’s education! If your cat has been scanning real estate postings on Craigslist, tell them that the search is over. 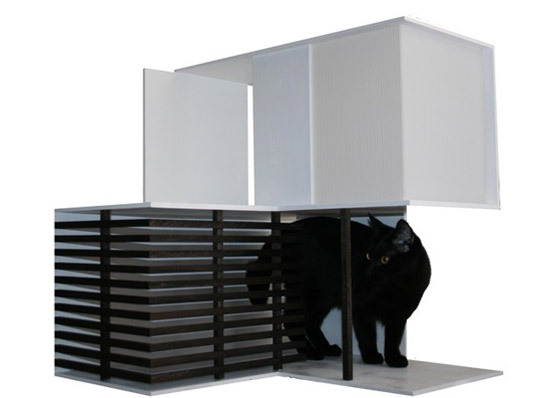 Even the most finicky of felines will be enamored with one of these wooden "condos" that are custom built to their specifications (and when we say "their" we mean "your" since cats can't talk). What's even cooler is that the builder of these bespoke homes is currently completing a Master of Architecture degree, so you'll be happy to know that the money you pay for your new cat abode will be going towards funding a fellow designer's education!